Advanced APTX sound and Bluetooth 4.1 technology delivers astonishing acoustics, with that deep bass you crave. Enjoy skip-free music in a 30ft working distance, even if use your music devices left/right side, above/below waist. The wireless earbuds battery charges quickly, and also delivers up to 5 hours of playtime. Design for sports-You wont be disappointed whether your jogging, working out, cycling or just hanging out listening to your favorite music and watching videos. SoundPEATS Q9A Earbuds sound amazing! As a runner, I know one of the most difficult things can be keeping your earbuds in your ear. With these SoundPEATS Q9A Earbuds that's no longer a problem! The secure fit keeps them in place no matter how fast you run. I also love that they are sweat proof because that's the number one killer for my earbuds. The bass sounds amazing and the sound is crystal clear. The range is also incredible! They have a long battery life and charge quickly which is important for someone like me who realizes their dead right before gym time. I seriously love these SoundPEATS Q9A Earbuds! Brand NEW from SoundPEATS Audio. With a 3.5 mm stereo jack compatible with most portable audio devices including iPhones, iPads and other smartphones or tablets, MP3 Players. Flat profile anti-tangle lead and super soft silicone ear buds. Equipped with a built-in microphone, it allows you to make and answer phone calls at the touch of a button. 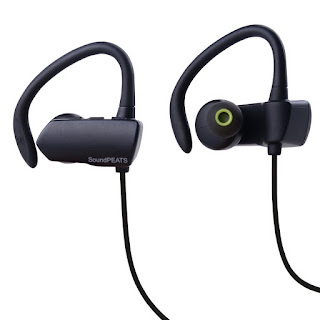 The rubberized outer shell with soft ear gels promotes comfort in your ears and enhances privacy while you're listening to music or on an important call. Talk on your cellphone or listen to your favorite tunes with clear sound quality with the hands-free "SoundPEATs"3.5mm Stereo Hands-Free Headset. Soundpeats M10 Earphones are awesome! They have incredible sound and work with all my devices. I love that they have an anti-tangle cord and are so easy to use. They also have a built-in microphone so I can take or make calls while wearing them. They fit in my ear comfortably and come with various sizes of rubber ear pieces so your sure to get the fit you need. I highly recommend these Soundpeats M10 Earphones! SoundPEATS M20 3.5mm In-Ear Earphones with Microphone are awesome! Whether using them to make or take phone calls, or listen to music you're sure to get great sound. They work with all my deives and have crystal clear sound. 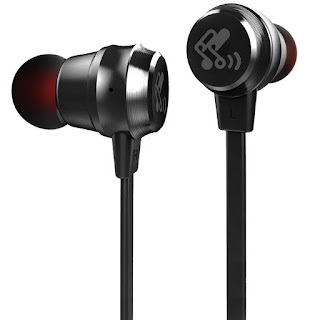 They are lightweight and come with various sized ear buds so you're sure to get the correct fit. They also have an anti-tangle cord which makes them easy to pick up, plug in and use. 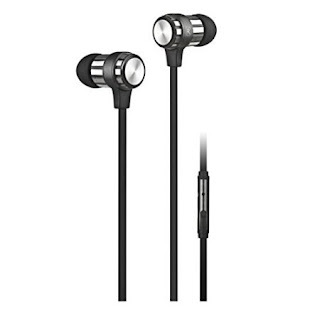 I highly recommend these SoundPEATS M20 3.5mm In-Ear Earphones with Microphone! Its a great post.I really want to try this.I am obliged for the Blog post. Really thank you. Keep writing.